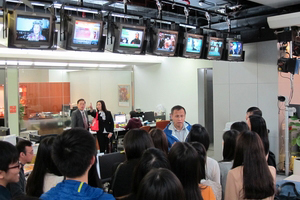 In order to enhance students’ understanding of media operations, the School of Communication conducted a visit to i-CABLE News Limited. 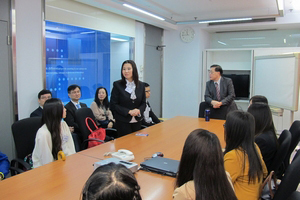 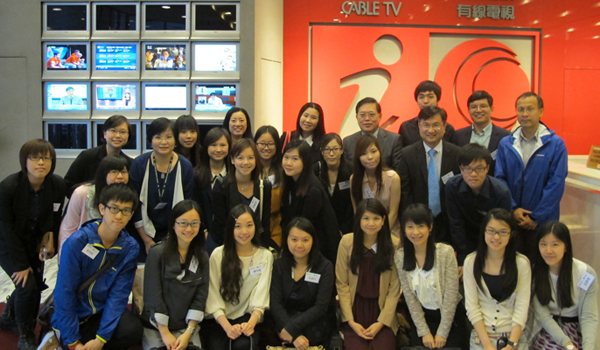 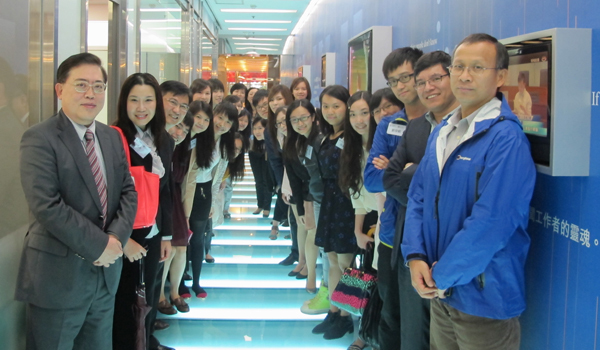 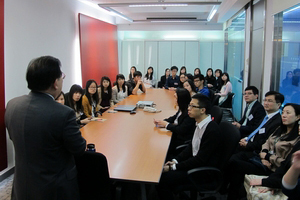 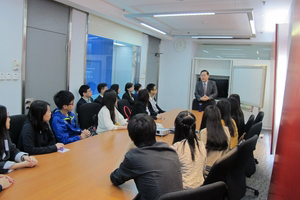 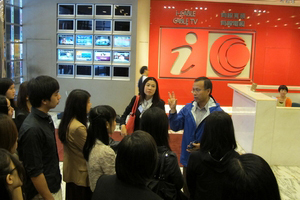 Led by Prof. Scarlet Tso, Dean of the School of Communication and other BJC professors, 19 students paid a visit to the headquarter of i-CABLE News Limited in Tsuen Wan and received warm welcome from Mr. Ko Kim Ching (Director of Planning of i-CABLE News Limited). 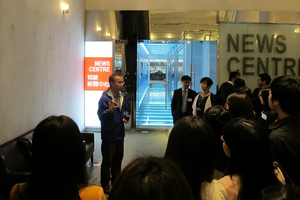 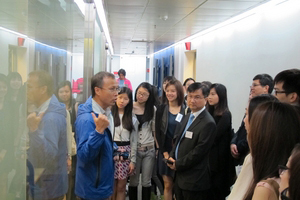 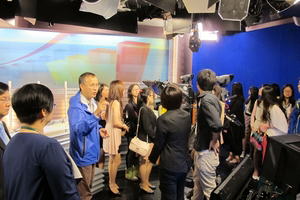 Mr. Ko introduced to professors and students the operations of studio, live broadcast studio, graphic room and lines room. 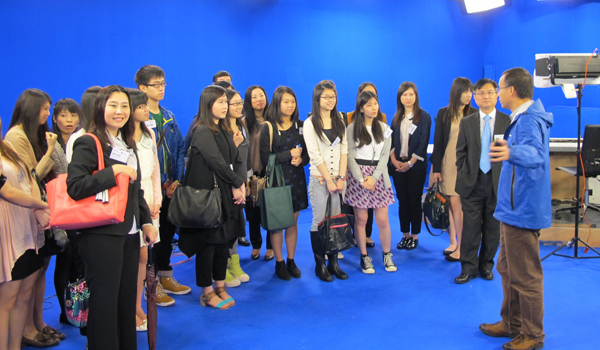 He also explained the challenges faced in the process of TV News production and the importance of teamwork. 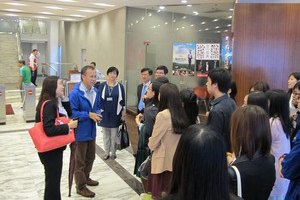 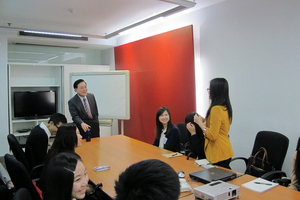 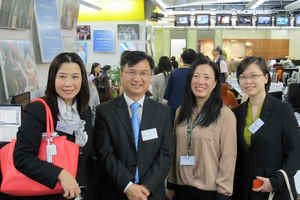 After the visit, Prof. Ronald Chiu talked with professors and students despite his busy schedule. 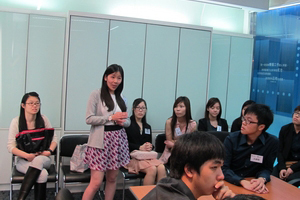 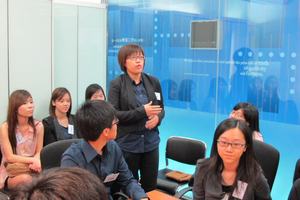 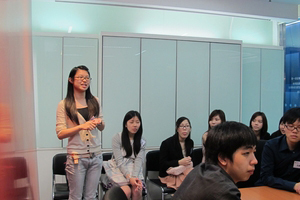 Students actively asked questions and Prof. Chiu answered all questions in detail. 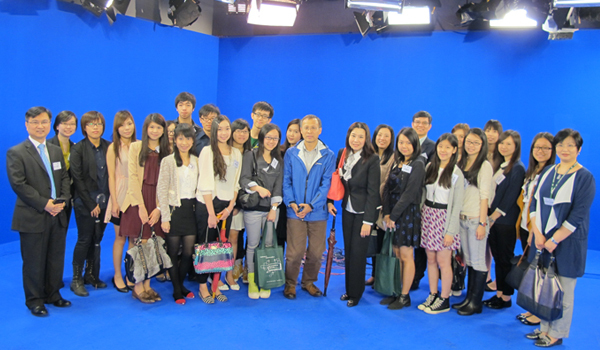 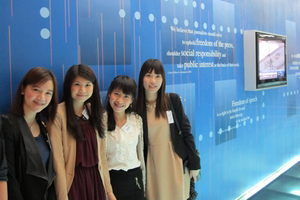 Students had a fruitful experience through this visit.